Doctor J. Antonio Bouffard, or Tony to his friends, is a Bone Radiologist in the Department of Orthopaedic Surgery and Sports Medicine at the Detroit Medical Center (DMC) in Detroit, Michigan. He is into Orthopaedic and Sportsmedicine Ultrasound in the DMC, which takes care of 3 professional sports teams: the Detroit Tigers (baseball); the Detroit Pistons (basketball); and the Detroit Red Wings (ice hockey). DMC Sports Medicine takes care of all athletic injuries, and all musculoskeletal problems of the shoulders, elbows, knees and ankles of the general public. Additionally, hand and wrist along with the spine care are part their expertise. Orthopaedic Surgery includes Trauma, Joint Replacement, Spine, Hand, Pediatrics, and Oncology. Tony received his Bachelor of Science ‘75 and Bachelor of Education ‘76 degrees from the University of Toronto, Canada, and was graduated MD ’80 at the Manila Central University, Philippines. He finished Medical Internship ’81 at the University of Kansas Medical Center in Kansas City, Kansas. From there, he completed his Radiology Residency ’85 at the Wayne State University in Detroit, Michigan, then 2 tandem Fellowships in Nuclear Medicine ’87 and Magnetic Resonance Imaging ‘88 at the University of Michigan in Ann Arbor, Michigan. A year in private practice at the Holy Cross Hospital in Detroit was followed by 2 decades working at the Henry Ford Hospital, first as a Radiology Director for the Northeast Clinics and then as a Bone Radiologist in the Main Hospital. Finally in the DMC, he now practices Orthopaedic and Sportsmedicine Ultrasound. He also interprets correlative MRI, CT and X-rays. NASA (Johnson Space Center in Houston, Texas), Olympics (United States Olympic Committee in Colorado Springs, Colorado) and Dr. James Andrews (Andrews Institute of Sports Medicine and Orthopaedics in Pensacola, Florida) retain him as a permanent consultant in Sportsmedicine Ultrasound and Orthopaedic Radiology. His portfolio contains over one thousand invited lectures and work-shops, including abstracts and posters. He has more than a dozen of peer-reviewed publications and book chapters. He has been featured in several video presentations by SonoWorld and other venues. He has been invited to lecture in 35 countries, as varied as Russia and Argentina. He was awarded the Gold Medal in Radiology in Mexico, the Gold Medal in the Madrid Medical Society of Spain, a Professorship in the Faculty of Surgery & Medicine of the University of Santo Tomas in the Philippines, and another Professorship in the Catholic University Saint Anthony in Murcia, Spain. 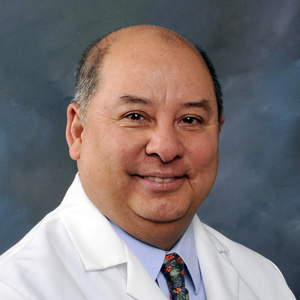 The RSNA (Radiological Society of North America) has twice asked him to be an International Visiting Professor overseas to Mexico and El Salvador. Rheumatologists from EULAR (European League Against Rheumatism), PANLAR (Pan-American League Against Rheumatism) and American College of Rheumatology regularly invite him to lecture and give workshops. He was included in the lecture programs of Physical Medicine, General Surgery and Emergency Medicine. Sonographers, Athletic Trainers, Podiatrists, Physical Therapists and Physician Assistants engaged Dr. Bouffard as a speaker for their respective Society Meetings. He has given lectures in General Medicine and Family Practice Meetings. The rotating Medical Students, Orthopaedic Surgery Residents, Sports Medicine Surgery Fellows and Orthopaedic Physician Assistants have their ultrasound training with him. Doctor Bouffard is in a unique situation where he can employ his expertise in welding a seamless service between Orthopaedics and Ultrasound to benefit patients with a rapid, real-time, dynamic, portable, inexpensive and accessible modality. He has the fortune of teaching this technique to all interested parties who practice the Healing Arts to take care of their patients burdened with locomotory problems. Orthopaedic and Sportsmedicine ultrasound will always feature itself intuitively as an integral armamentarium for those who take care of the MusculoSkeletal System.